This stunning Governors Club showpiece has everything the discerning buyer seeking luxury, privacy and a golf-course view could want. Located at 46 Governors Way in the gated Governors Club development, this home is 8,770-square-feet of pure luxury. But donet let its size overwhelm you. Every room is warm and inviting. Priced at $2,399,900, donet let the size of the .63-acre lot concern you. The home is situated on the 18th fairway of the Arnold Palmer-designed golf course. 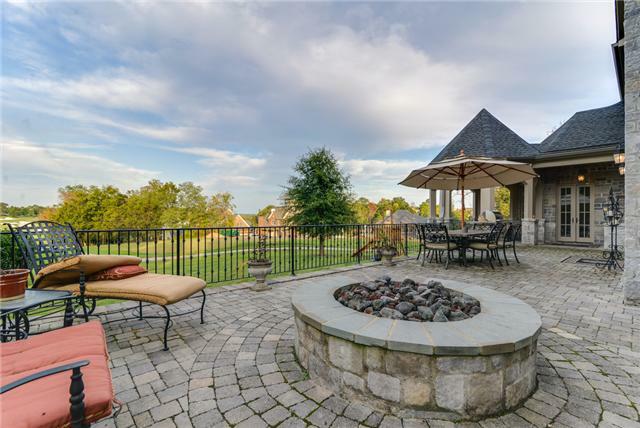 The wide-open views from the expansive stone deck and patio complete with a built-in fire pit go on and on. The 5-bedroom homees unique design, with matching two-car garages on both sides paired with extensive landscaping help make the location feel much larger and more secluded than it actually is. 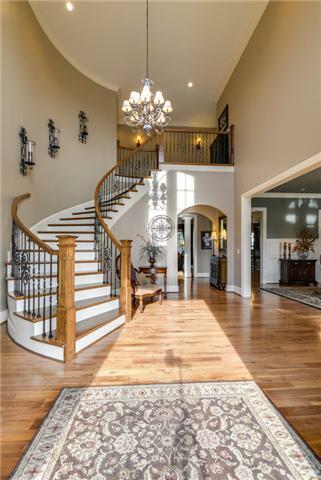 The spacious foyer is flooded with natural light. The curved staircase is just the first of the unique touches found throughout the public and private rooms alike. Soaring 12-foot ceilings and beautiful hardwood floors are found throughout the first floor. The formal dining room has wainscoted walls and crown molding. For more casual or family dining, the large breakfast room offers fantastic views of the golf course and has direct access to the covered terrace.. 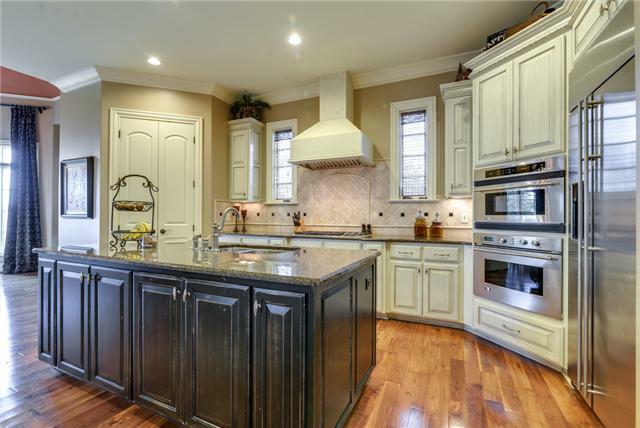 The open kitchen has a huge, granite-topped work island. The five-burner Wolf gas range and double Advantium oven can handle food prep for any size crowd. A built-in stainless refrigerator, Bosch dishwasher and a built-in coffee bar complete the list of impressive appliances. 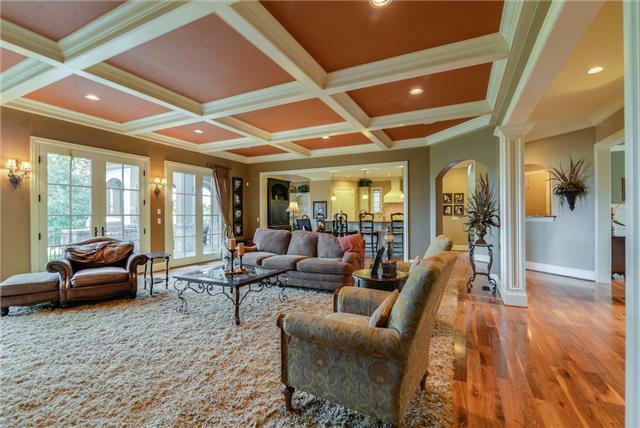 The one-of-a-kind great room has a coffered ceiling, golf course views and a warm fireplace. It also opens to the kitchen, which adds to any gathering. 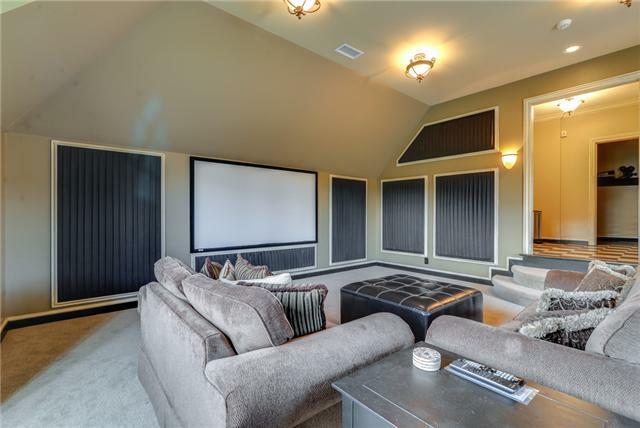 Relax with a movie in your carpeted, sound-proofed theater room. You hardly have to move to make yourself a snack; therees an adjacent kitchenette as well as a half bath. 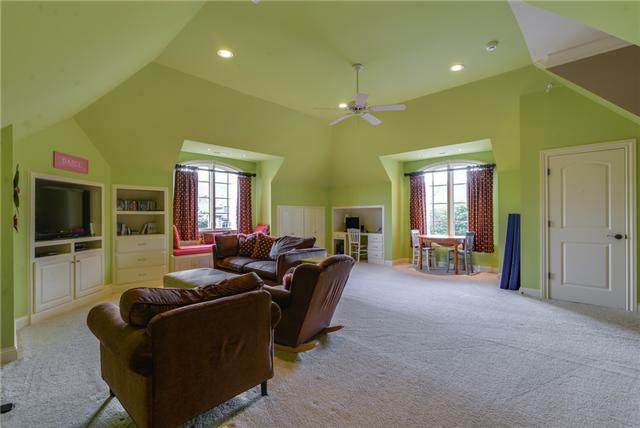 Therees also a bright bonus room with built-in bookshelves and a half bath. Of the five bedrooms, two are master suites. The owneres suite has its own marbled fireplace and a deep trey ceiling. 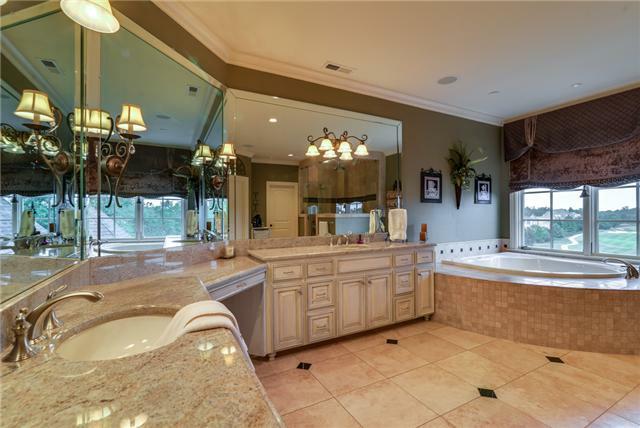 The expansive owneres bath is equally impressive with its his-and-her cabinets and sinks, a large vanity area, soaking tub and glassed-in shower. The home has five full baths, four half baths, two laundry rooms, a safe room and a wine cellar. It is zoned for Crockett Elementary, Woodland Middle School and Ravenwood High School. For more information, contact Stephanie Webb with Benchmark Realty at 371-1544.